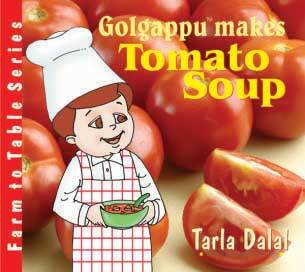 An all-new concept launched by Tarla Dalal – the Golgappu “Farm to Table” and “How to make series”. A fun way to teach kids about food, how it grows and how things we eat everyday are made. Introduce your child to science and maths skills, cultivate healthy eating habits through these fun filled stories and our adorable Golgappu.